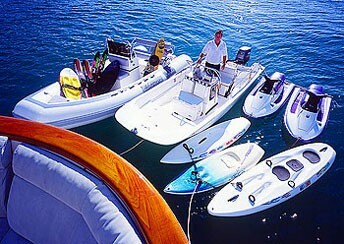 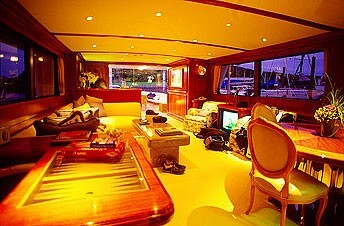 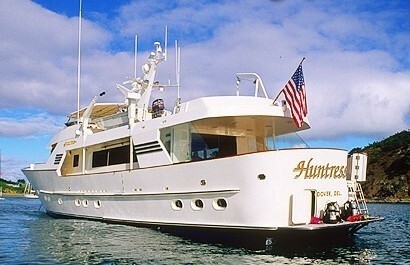 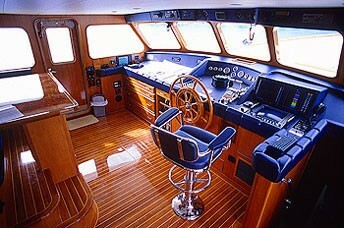 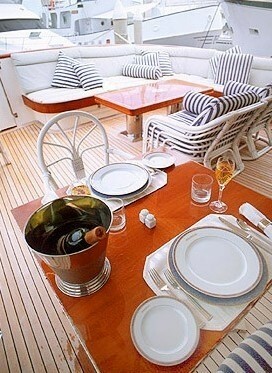 Luxury motor yacht Huntress charters in Australia. 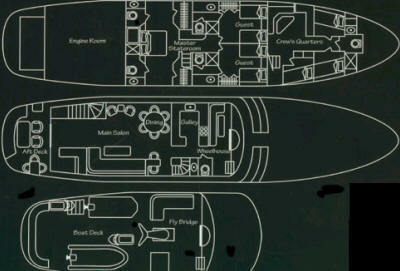 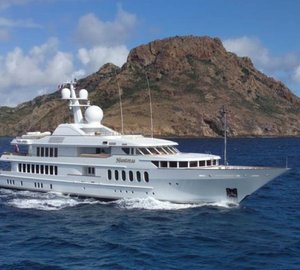 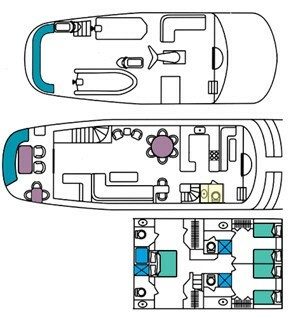 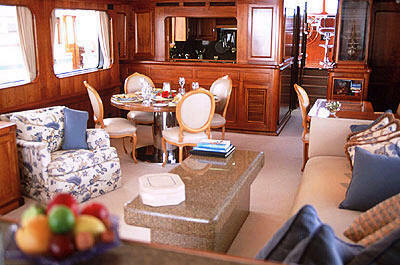 Her main cruising areas include the Whitsundays & the Great Barrier Reef, Brisbane and The Kimberleys. 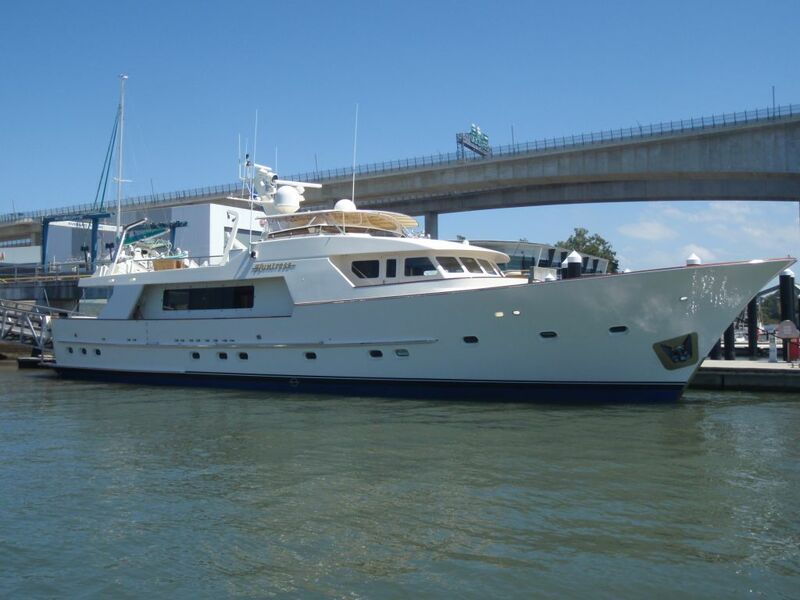 She is a well known and successful charter vessel in the Caribbean during the 1990's, Huntress is now available for luxury charters in stunning Australia after a 2004 and 2008 refit. 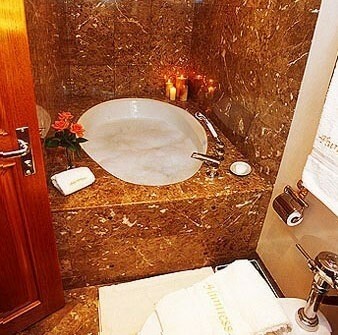 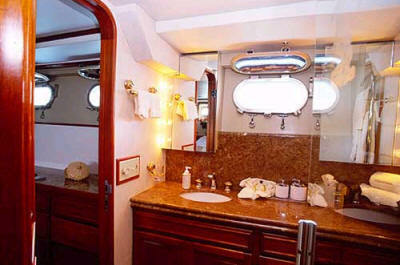 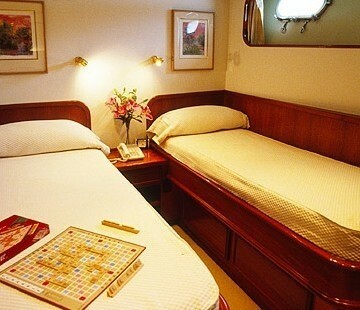 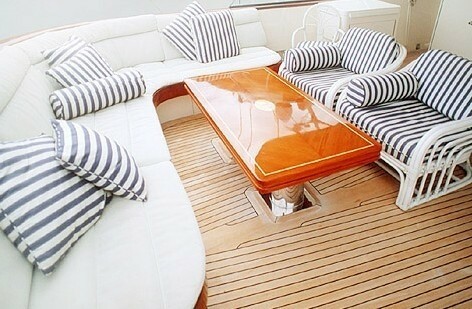 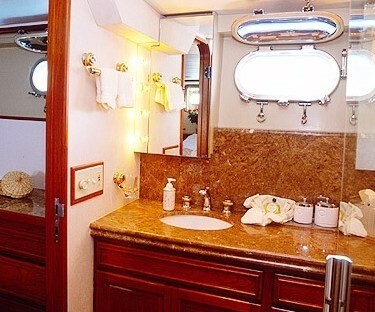 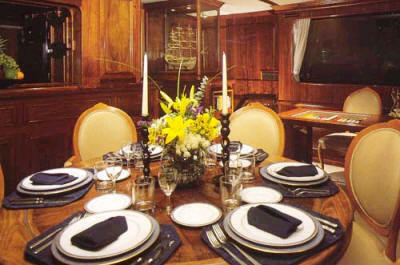 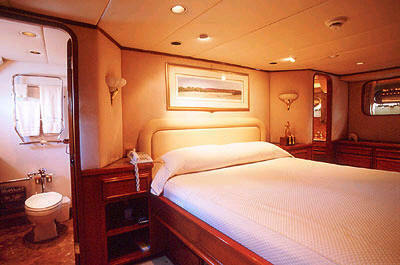 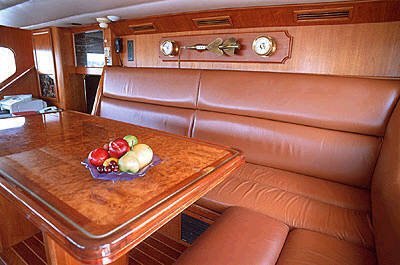 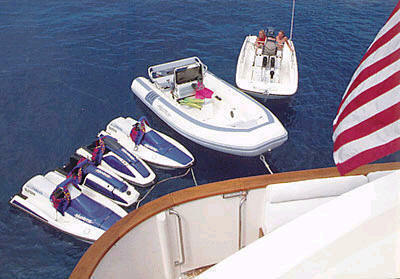 She offers elegant and stylish accommodation and an experienced crew to take care of your every need. 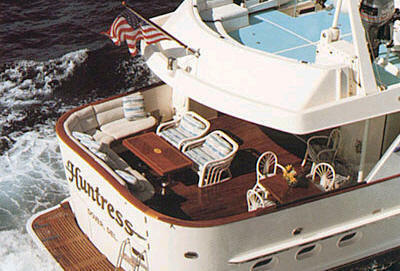 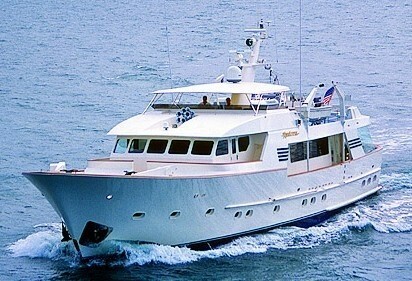 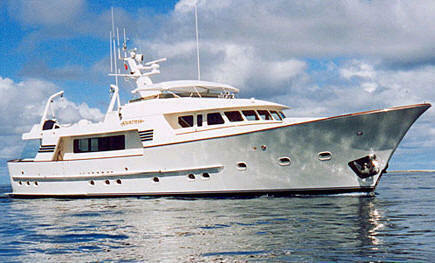 Huntress is the ideal vessel to explore the stunning Great Barrier Reef. 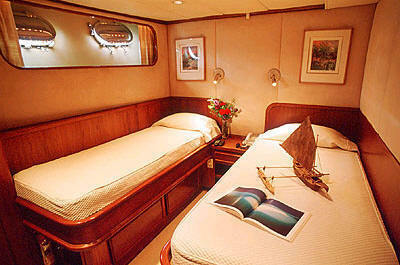 Rates listed are plus GST (10%) and plus all expenses. 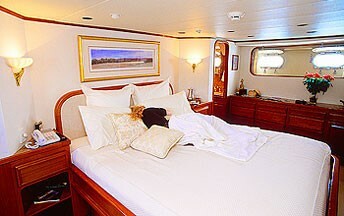 Australia Luxury motor yacht Huntress offers charter guests elegant and luxurious accommodation for six in three cabins including a master stateroom with a queen sized bed, a TV, DVD and a his and hers bathroom with Spa Pool and two twin cabins with a TV and VCR as well as an ensuite shower. 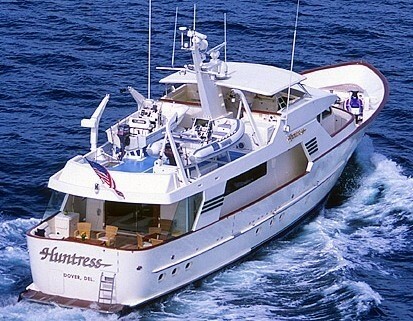 South Pacific luxury motor yacht Huntress provides charterers with the following amenities: As 18ft (4.7m) Novurania with 130 hp outboard and a 17ft (5.2m) Boston Whaler tender with 90hp outboard. 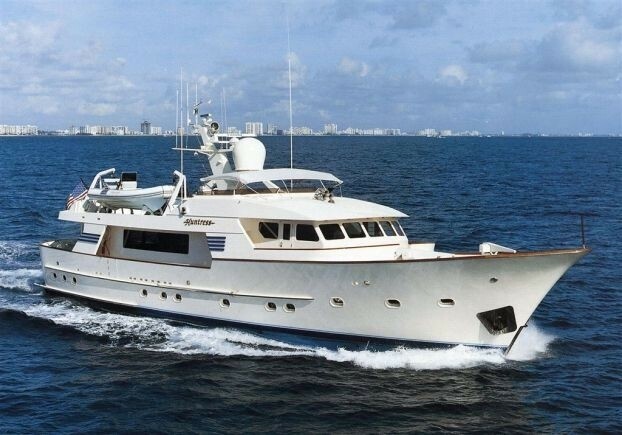 She also boasts 2 2man waverunners, 3 surf skis, water skis, wakeboard, kneeboard, boogie board, snorkelling gear, extensive fishing gear, skibob, beach toys, 2 bicycles and 6 sets of Scuba diving gear as well as a compressor.